Everyone tells us to just “be happy,” but how can we actually attain that feeling without faking it? We can’t always feel happy, as humans have complex, varying degrees of emotions. However, we can aim to feel happy more often, can’t we? Of course, because anything less than that would prove detrimental to our mental, physical, and emotional heath. Pennsylvania University psychologist Dr. Martin E P Seligman experimented on 411 people by making them write about early memories every week, testing on positive psychology interventions. When the weekly assignment was to write and deliver by hand a letter of gratitude to someone who was not properly thanked for their kindness, subjects developed an immediate, immense increase in happiness, with the impact more significant than any other intervention. The effects lasted for a month. You must exude an attitude of gratitude, dude. 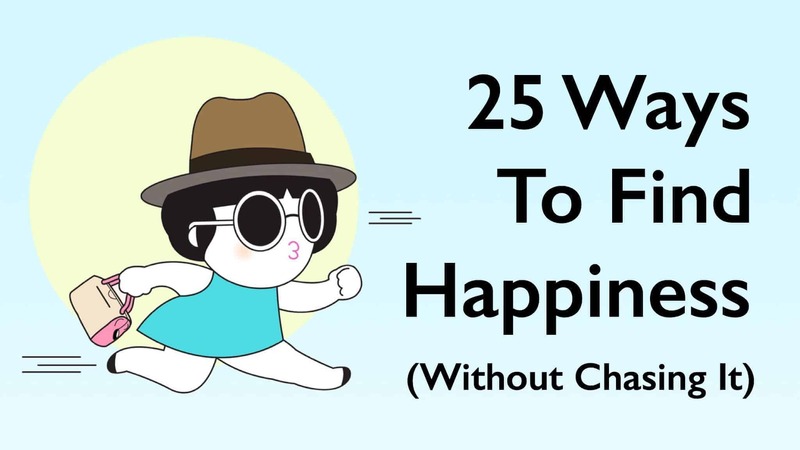 As the title suggests, you are not able to chase happiness. You have to look from within. 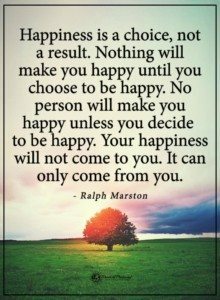 As Buddha wisely said: “There is no path to happiness. Happiness is the path.” Walk on, Mr./Mrs./Ms. Walker. Not only do you make other people happy this way, you make yourself happy also. You can do this in any way possible, from saying thank you to the barista at the coffee shop to volunteering at the local care home for the elderly. Be the one at the end of someone’s tunnel. Holding onto past pains only prolongs it. It has gone and there is nothing you can do about it, except for learn from it. It is now hi-STORY, a true story that involved you. But no longer. If you still feel the hurt from the past, see a licensed professional who will be able to help you. If you have done something wrong, it is advantageous to you to make amends. Saying sorry for your misgivings relieves you of bad tension towards that something you did, healing you and the other person in question. Many people enjoy sun, sea, and sand on beach while on holiday. What a beautiful way to get in tune to nature. Think how kids enjoy building sandcastles or how surfers enjoy the waves on a sunny day. Of course, you might be a countryside person who loves farms or a river person who loves white water rafting. Enjoy staring at the stars, appreciating the beauty of the moon, loving the magic of sunrises and sunsets, and playing in the sand and soil. Animals count as nature, too. Dee Hunter was the victim of bullying throughout school, including having “a knife pulled on me. I also had petrol poured on me and someone tried to light my hair.” Now thirty-two, she has her own martial arts business in Gosforth, Newcastle-upon-Tyne, England, with elder brother, Darren. By doing this, she has been nominated to win the “Unsung Sporting Champion” award in local newspaper’s Evening Chronicle Champion Awards. Feeling safe in this world is a basic right for anyone. How can anyone be happy if they are constantly living in fear? These are the people who make life worth living. Take a look at your Facebook page and see how many of your “friends” are actually your friends. If you have no friends, get out into the world and make some. 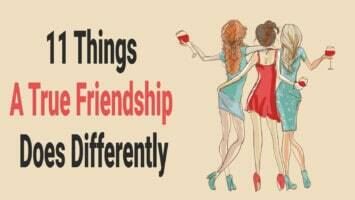 When you do have friends, make sure they are people on whom you can depend. They will tease you, defend you, make you laugh, spend time with you, and enjoy life with you. Organic, natural foodstuffs make your body function at optimal level. Without wanting to go into the carnivore/vegetarian/vegan debate, if your body absorbs too much processed or otherwise unnatural foodstuffs, your body will give you warning signs of any impending dangers. Likewise for excess or lack. – You lose awareness of time. – You are not thinking about yourself. – You are not interrupted by extraneous (unrelated) thoughts. – You would like to repeat the process. He states that “the good news about flow and happiness is that you can increase the amount of flow experience in your life and reap the benefits,” though he does also mention that it is innate for some people, while others need to work on it. Bad things are bound to happen from time to time but they pass. They may pass quickly or gradually. The secret is to carry on regardless. It may be an unsuccessful job interview or that you fell over grazing your knee. All these pass for you to accept something better in life, so get ready with your arms wide open. Good things feel uncomfortable to do at first until you get the hang of it. Get acquainted with feeling uncomfortable and take risks in life. When people do not take initiative in life, they have become static. Get that adrenaline rush going – ask that cute person out; conquer your greatest fears; learn a new skill; live life to the maximum. Why so glum, chum? Most of the time, there is no need to look like a bulldog chewing a wasp. A smile can bring the feelgood factor into your life, and even be the start of something beautiful, like a new romantic relationship. Smiling is the gateway drug of being happy, so take it in as many doses as humanly possible. You might not agree with what the other person is saying but it does not make them a bad person for it, unless they force their beliefs onto you or insult yours. There is not enough of this in the world. Furthermore, when can you agree with everyone all the time anyway? – It gives you a great start to the day. – It affords you a deeper connection within yourself. Remember, there is but one letter between “meditation” and “medication”. – Truth is peaceful and grounding. – The truth reveals freedom, with nothing to hide. – Truth transforms, revealing your best intentions and shift towards making changes to live an inspired life. – Truth awakens us to have courage to be honest and forthcoming. – The truth makes it easier to live life being yourself, not faking being someone else. Go all in-spiring! Always try to have that sparkle about you. You never know what idea or situation could arise from a touch of magic inspiration. It could be from something as simple as giving a cup of coffee to someone. On the opposite side of the spectrum to the last point, have your eyes peeled for some juicy inspirational goodness. Listen intently to what the Universe is telling you and act accordingly. Even for the little stuff like doing the washing up or picking up the leaves in the garden in Autumn. Who is the most important person in your life? Yourself, of course. This is an absolute must for your happiness to balance out pleasure and pain, but do not go over the top with it. No shopping sprees for women who filed their nails! Let your time be spent doing meaningful things and do not let someone else rob you of it. As stated above, you are unable to get back time. It is always best to use it as wisely as possible. There is no point in doing things you do not like doing. If you want to be a graphic designer, why are you flipping burgers at McDonald’s? If you want to be a comedian, why are you a number-crunching accountant, like Jim Carrey’s father? If you want to skydive, what are you waiting for? If you want to play in the park with your son, what is stopping you? Stop making excuses and make it happen! Be your authentic self always. There is no point being someone else, as you do you so well.